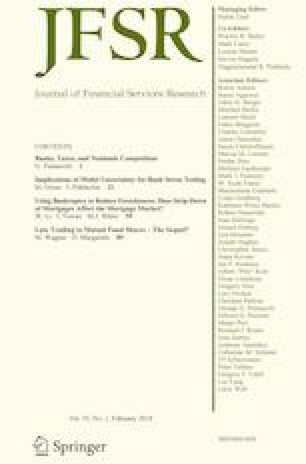 This paper aims to evaluate the relationship between capital and liquidity creation following the implementation of the Basel III rules. These regulatory measures target both increased capital ratios and a reduction of banks’ maturity transformation risk, which could result in excessive constraints on bank liquidity creation, thereby negatively affecting economic growth. Using a simultaneous equation model, we find a bi-causal negative relationship, which suggests that banks may reduce liquidity creation as capital increases; and when liquidity creation increases, banks reduce capital ratios. Our results therefore imply a trade-off between financial stability (higher capital, reduced risk) and economic growth (liquidity creation). We are grateful to the participants of the 2016 Portsmouth-Fordham Conference on Banking and Finance (United Kingdom), the 2017 Javeriana University International Symposium of Experts in Finance (Colombia) and the 2017 Financial Intermediation Network of European Studies (FINEST) Conference (Italy) for their valuable comments. Special thanks are due to the anonymous referee and the editors for their guidance and very constructive remarks and suggestions. Part of this paper was written while Antonio Trujillo-Ponce was visiting Cass Business School (City, University of London). We also acknowledge the financial support of the Regional Government of Andalusia, Spain (Research Group SEJ-555). The usual disclaimer applies.